Happy Valentine’s Day everyone! Today is the perfect day to reflect on the full-timing dream in your heart. Take time to celebrate your vagabond soul with books that celebrate life on the road! 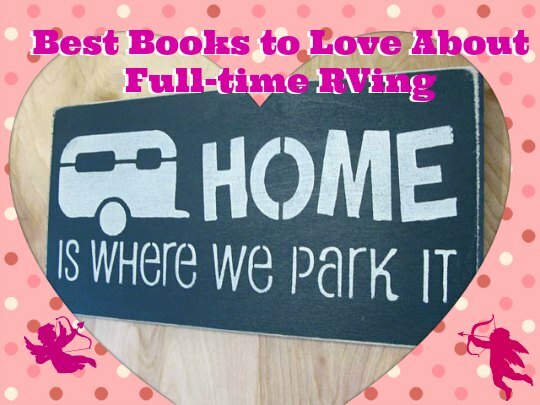 As my Valentine’s Day gift to you, here is a short list of great books by full-time RVers with well-established track records of living life on wheels. 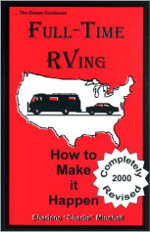 Destined to be the newest almanac to the full-time RVing lifestyle, the Huggins and Russell’s book is a whopping 372-page guide to all-things full-timing. This experienced full-timing trio covers everything they’ve learned in over a decade on the road, from choosing the best rig and how to camp, to earning money. You should know that Russel is the well-regarded creator of the long-published Gypsy Journal Newspaper and the Huggins are the force behind Living the RV Dream, an informative blog and podcast about RVing. If anyone knows about solo RVing, Armstrong does. As a full-time RVer since 1995 and solo since 2010, she travels in her 1999 28-foot Safari Tek 2830 class A. She enjoys spending her “senior years” (as she refers to them) sharing what she’s learned about the lifestyle. 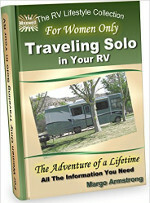 Armstrong is the author of nine different e-books about RVing and is most notably known for her book about full-timing without a co-poilot, For Women Only. 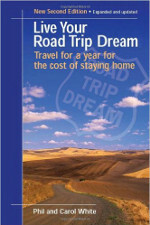 This five-star rated book is what got my husband and I to take road trip planning seriously and make our dream happen. I can’t recommend it enough to anyone who is thinking about hitting the road. Phil and Carol were two baby boomers living the good life who decided to travel for an entire year in a Roadtrek and share what they learned along the way. Although it was published in 2007, it still has plenty of useful information for working-age and retired people who are wrestling with the transition from a sticks-and-bricks home to a life on wheels. From budgeting and road schooling to technicalities of making a living on the road, the Whites cover everything you need to help kick off your own brainstorm sessions. What to do when you want to cross the Canadian or US border. 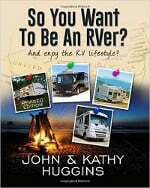 Search Amazon for books about full-time RVing and you’ll find tons to winnow through. The above reads are my favorites from well-established full-timers and I hope their ideas fill your heart with dreams and motivation to get you on the road for good. Have a great Valentine’s Day!